IF YOUR LIKE ME AND WANT A HIGH END MOUNT THATS ADJUSTABLE AND DOES NOT LOOK LIKE A UNIVERSAL MOUNT THIS IS THE ONE! 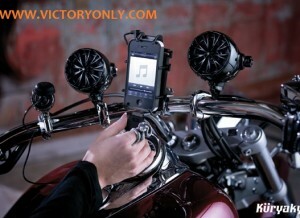 INSTALLED ON MY VICTORY MOTORCYCLE THEN A POLARIS RAZOR AND HANDLED MY LARGE SCREEN DROID PHONE WITH NO ISSUES. 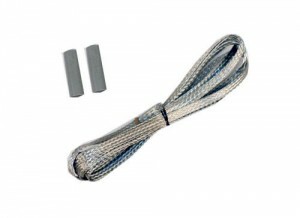 WORKS WITH THE FAT HANDLEBARS ON MEAT HOOKS, MAYHEM BARS AND MONKEY BARS. 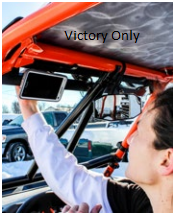 THE ONLY PHONE DEVICE HOLDER YOU CAN TAKE OFF YOUR MOTORCYCLE AND INSTALL IN SECONDS ON YOUR SIDE BY SIDE ATV OR TRACTOR OR ANYWHERE THAT HAS A BAR BETWEEN .5 TO 2 INCHES DIAMETER. NOTE: Not for use with Samsung Galaxy S4 phones. 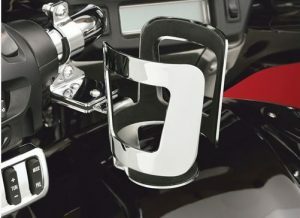 Klock Werks has designed easy to install, motorcycle model specific mounts that incorporate the iO mounts™ system! 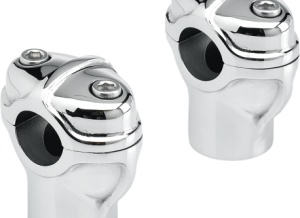 You simply install the mount to your bike with included hardware, attach the razor-thin iOadapt stainless steel adaptor to your device, and instantly connect to the powerful iO core magnetic carrier. No special case needed! Klock Werks offers multiple motorcycle-specific device mount styles. 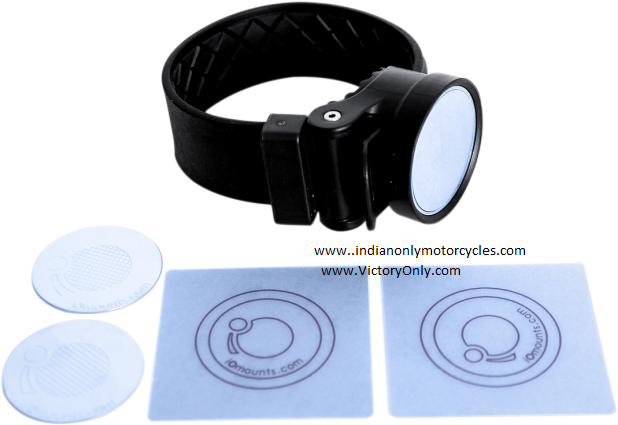 Each package comes with two iO adapts (a razor-thin, unobtrusive steel disk that adheres to the device), one magnetic iO core, two iO skins (this makes it easier to remove the stainless steel iO adapt from your device), one Kustom Semisphere Mount, and hardware. Directions for placement are included in box. 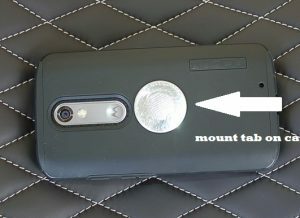 iOskins (this makes it easier to remove the stainless steel iOadapt from your device), one Kustom Semisphere Mount, and hardware.